Fall in love with our latest farmhouse bathroom renovation. 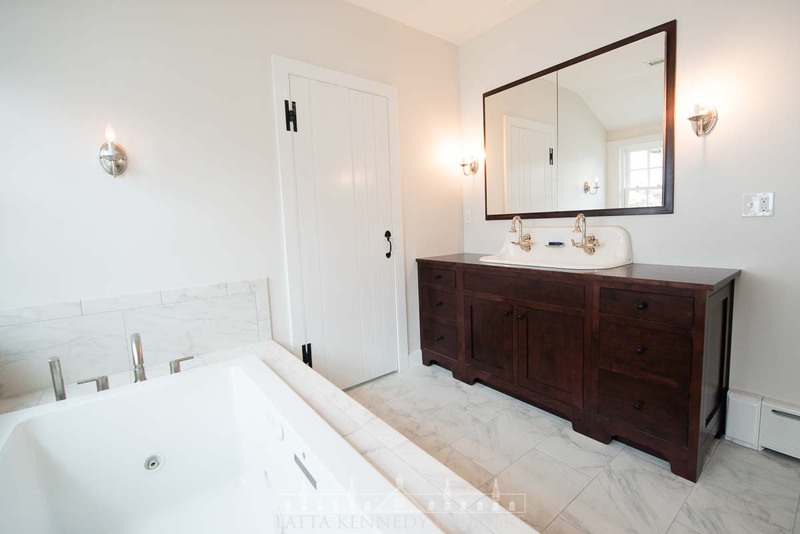 This new bathroom suite was part of an addition onto an existing historic stone farmhouse in a quaint village located in Chester County. 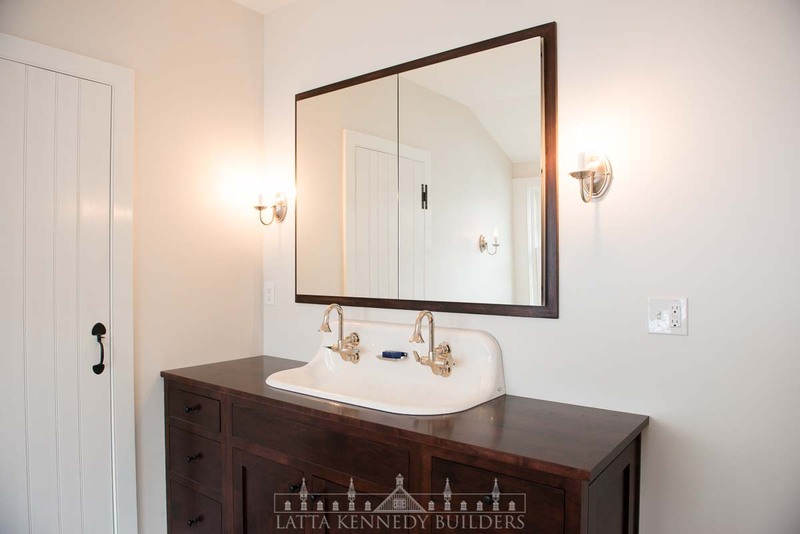 Breathing new life into this historic home with all of the modern amenities, this bathroom ensemble flawlessly matches the historic detail throughout the home. 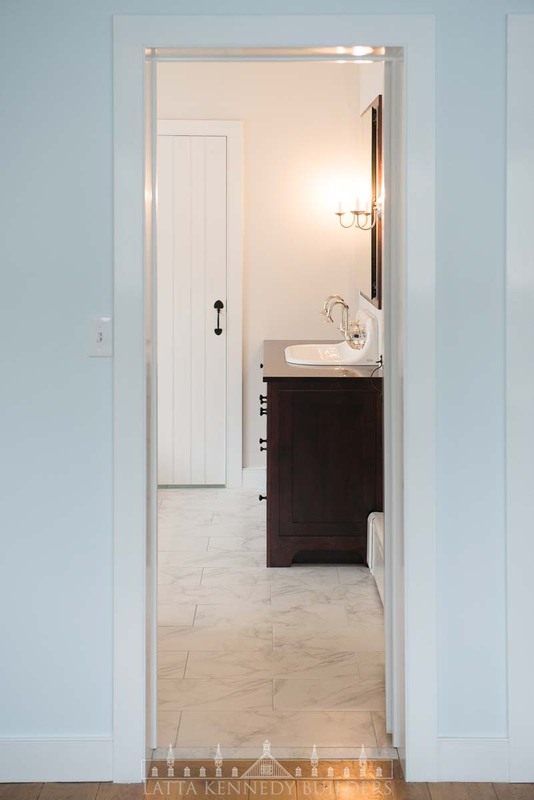 To start with, hand forged hardware adorn all of the hand crafted barn style doors which included period hinges and door handles, adding to the consistent architectural elements making it appear as if the addition belonged here all along. 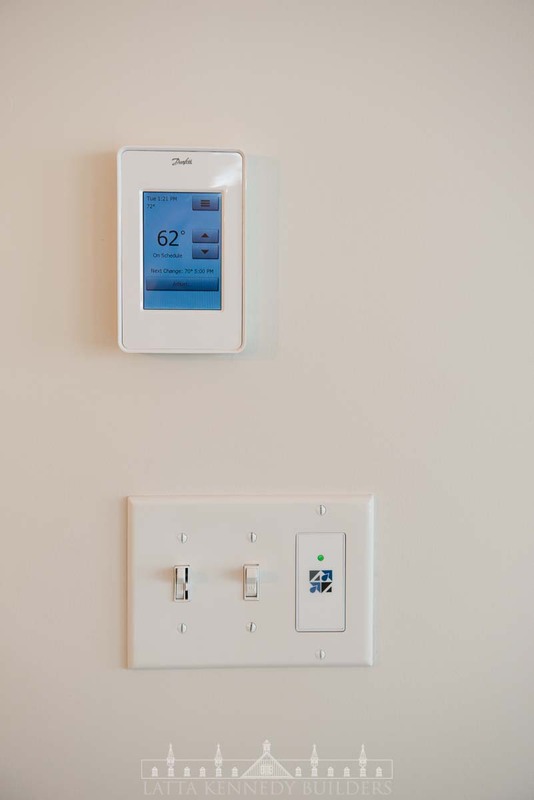 In keeping with the traditional style of the historic farmhouse design, we added touches of modern day conveniences to accommodate today’s style of living. 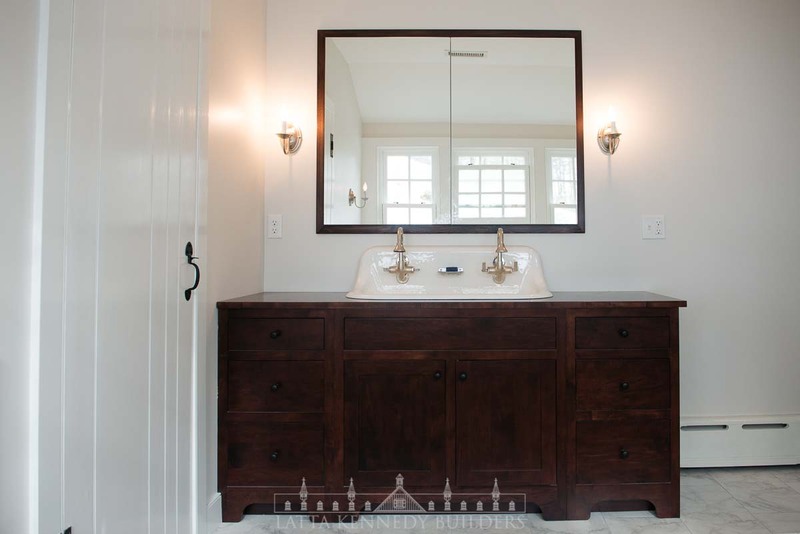 Focusing on maintaining the integrity and consistency of the existing architecture of the historic home, the bathroom renovation included a cast iron farmhouse style sink, a custom made walnut shaker vanity along with a matching hand crafted framed inset medicine cabinet. This cabinet provides functional storage and additional convenience for the homeowners with a virtually seamless appearance. Throughout the bathroom renovation, carrara marble framed the drop in bathtub, walk in shower and also completed the pristine flooring. 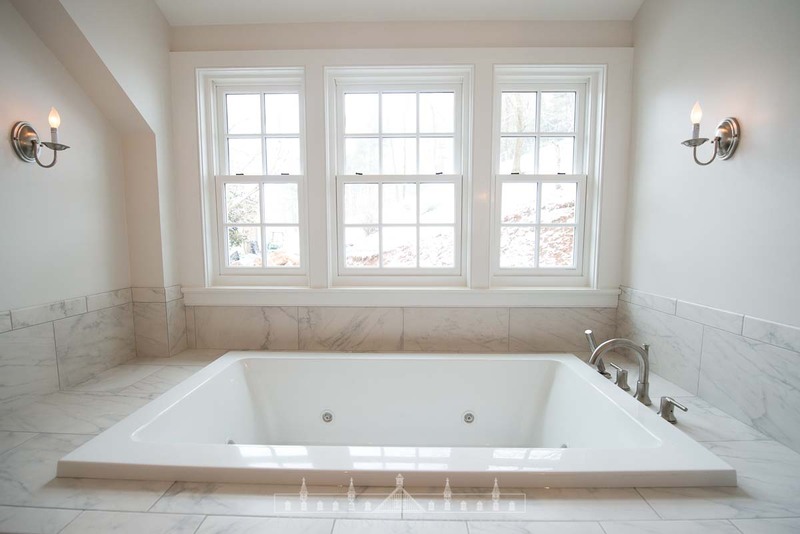 The homeowners chose carrara marble for its elegant appearance and durability The bathroom suite also has a drop in therapeutic bathtub which is durable and chip resistance. 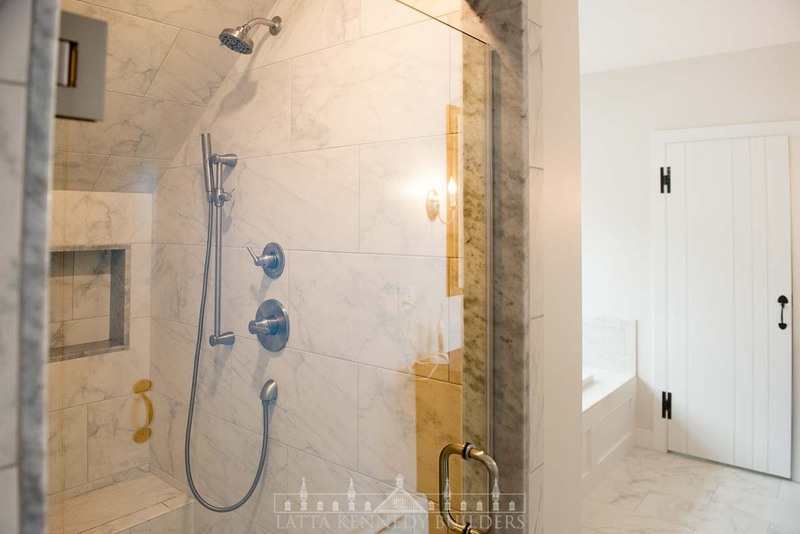 It also included a beautiful walk in shower complete with a seamless glass door, functional shower seat and marble tile flooring. 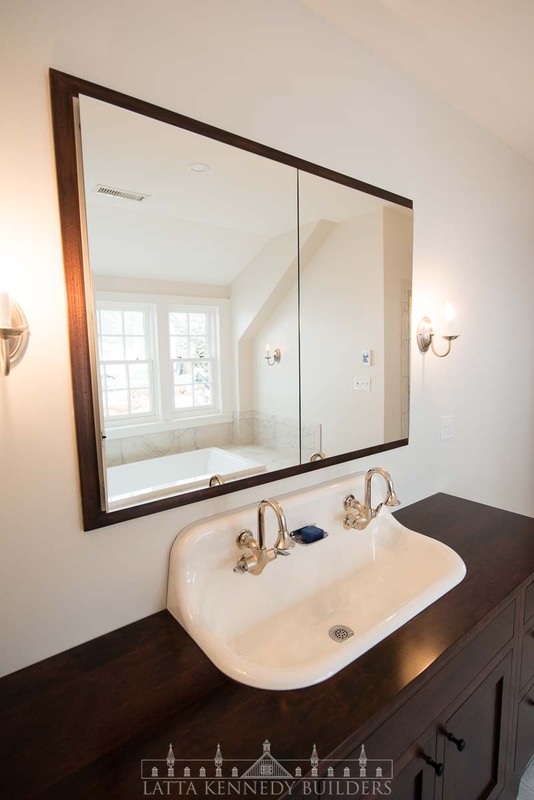 Unlike most historical farmhouses, this modern day bathroom renovation is equipped with a separate water closet with a private water saving toilet and cleansing bidet. These modern touches helped create a dream bathroom for the couple to enjoy for many years to come. It was very important to the homeowners that the addition blended in with the style of the existing farmhouse. 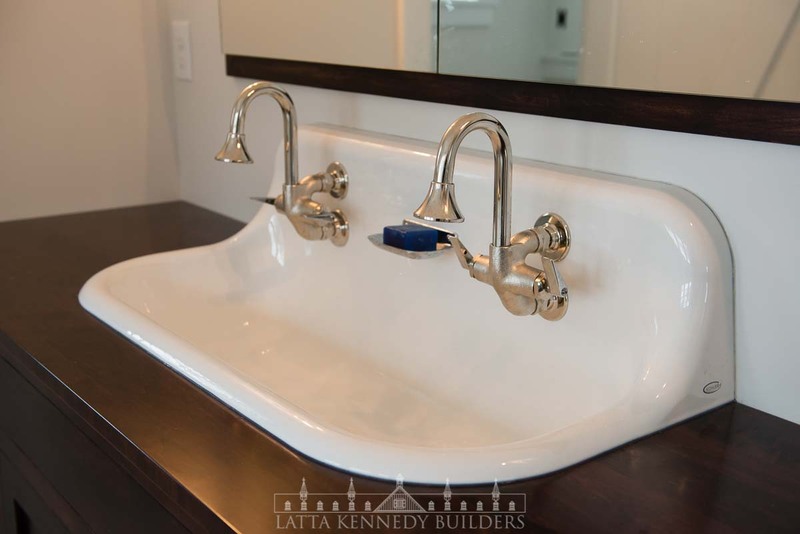 Latta Kennedy Builders takes great pride in listening to the wants and needs of our customers. The quality of our craftsmanship and attention to historical detail inspire us to continue helping and providing dream renovations and remodels for our clients. Contact us to speak about your upcoming home projects.